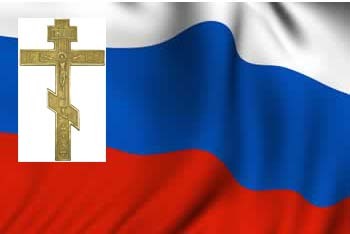 The Antiochian Orthodox Christian Archdiocese of North America is the sole jurisdiction of the Church of Antioch in the USA and Canada with exclusive jurisdiction over the Antiochian Orthodox faithful in those countries. The current primate has six auxiliary bishops assisting him in caring for the nine dioceses of the growing Archdiocese, which is the third largest Orthodox Christian jurisdiction in North America, having 236 communities (38 of which are missions). Estimates of the number of faithful range from 51,320 to 84,000 to 380,000 depending on the report and the counting method being used. The number of new Antiochian parishes in the decade between 1990 and 2000 rose by approximately 33%, and the primary membership growth in the Archdiocese has been from American converts. From 2003 to 2005, an increase of 1,229 communicants was reported at the conventions, an increase of 2.5%. The Archdiocese also includes one monastic community, St. Paul Skete (Grand Junction, Tennessee), a community for women. It does not run any of its own seminaries, but sends its seminarians to theological schools run by other jurisdictions or overseas. The Archdiocese does run various non-seminary educational programs, however, including the St. Stephen's Course in Orthodox Theology. The Antiochian Archdiocese is also a member of SCOBA and was formerly a member of the National Council of Churches (NCC), but on July 28, 2005, its Archdiocesan Convention voted unanimously to withdraw fully from that organization, thus making it the first of the major Orthodox jurisdictions in the US to do so. Its current primate is the Most Reverend Philip (Saliba), Archbishop of New York and Metropolitan of all North America.